As the San Antonio Symphony's season continues, just a few short weeks ago, its situation was dire. "I don't even know that they're playing hardball at the moment. They're just not playing," he said. "This city no longer has an orchestra as of Monday morning. And I don't know when it's coming back," he said. The symphony board announced the season would end after two final performances the first weekend in January. At that point, symphony board chair Alice Viroslav resigned and Kathleen Weir Vale took charge. "I was vice chair of the board, and when Dr. Viroslav did resign, it fell my lot to assume the helm," Vale said. Music director Sebastian Lang-Lessing vividly remembers the Friday at the end of that rough week. "It was actually my birthday, Jan. 5. We were supposed to play our last concert on that weekend. That was a really depressing birthday," he said. Lang-Lessing wasn't the only one taking it hard. The members of the symphony were hurting, too. "Cleo (Aufderhaar), who has been in the orchestra for 40, over 45 years — when she walks to rehearsal and she starts crying, that's terrible. Don't do that to people," he said of the violinist. Vale, the symphony's new leader, was looking at all options for the symphony, including bankruptcy. But she discovered there was some good news. "In consultation with an attorney — actually, three attorneys — it seemed that we were not bankrupt," Vale said. That's because, for the previous three months, the board had been looking into a pension liability running into the millions of dollars, she said. But that liability would only be triggered if the symphony were to disband, leaving the union players without their accrued pension. Since that wasn't the case, the symphony's debt was less than expected. Then, there was an unexpected surprise. “A good friend of mine came over to my house that night and brought me a check for $200,000 and said, ‘You have a few dollars now to operate,’ ” Vale said. The donation prompted another meeting between Vale and the board, and as Lang-Lessing remembered, the next night was a performance he wouldn't soon forget. “Kathleen in the intermission came to me. ‘You really have to announce that the season is going to go on.' I said, 'If you say so, I will do that.' It was actually all very dramatic; you couldn't have staged it better," Lang-Lessing said. The audience met the news with an extended standing ovation. Vale said that throughout the last few weeks, attendance at the performances has been good, as has fundraising. "We've had lovely support from the city of San Antonio. And a magnificent grant from the county, which is going to go through on March 31," she said. That grant from Bexar County is a dollar-for-dollar match for every donation to the symphony up to $350,000. Vale said they are projected to raise a little more than a million dollars by the end of March, which is roughly one-seventh of their yearly budget. "We will end the season in the black. And we will go forward next year with a fabulous season," she said. But despite the symphony heading in a more positive financial direction, Lang-Lessing, who has conducted symphonies in Germany, France, Tasmania and Japan, knows they aren't out of the woods, just yet. “Quite frankly, I don't know any other country that doesn't fund the arts in the world. I have yet to find that," he said. Lang-Lessing said, in German, the taxes from just one city pays far more for the arts than the entire U.S.
"Berlin is spending in government subsidy to the arts $500 million dollars,” he said. “The National Endowment for the Arts in the United States was pulling out somewhere between $140 and $180 million a year for the entire country." Lang-Lessing added that paying for the arts with taxes also has other benefits. “One of the best orchestras in the world is, without a doubt, the Berlin Philharmonic. A ticket is very affordable. You can go for 12 Euros,” he said. That's about $15. Lang-Lessing added: "Quite frankly, I believe that arts are an infrastructure, like streets, like buildings, like parks," he said. Meanwhile, San Antonio City Councilman Roberto Treviño said support for the arts is growing. Updated 1/11 6 p.m. with contract agreement. 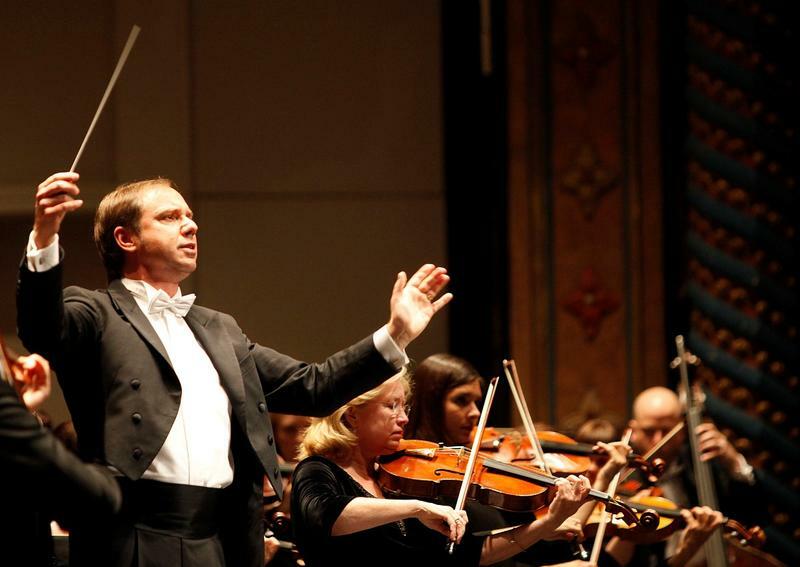 The San Antonio Symphony is close to reaching an agreement with the musicians' union on a contract to finish out the 2018 season, said union representative Craig Sorgi on Thursday. The new contract is "largely an extension of the existing one, but with a few minor tweaks," he said. Part of the new contract allows the use of social media and streaming video of symphony performances as part of its marketing strategy to reach a younger audience, he said. San Antonio Symphony music director Sebastian Lang-Lessing said Wednesday afternoon that commitments of a cash infusion from San Antonio and Bexar County, plus an increase in patron donations have restored most of the performance season. 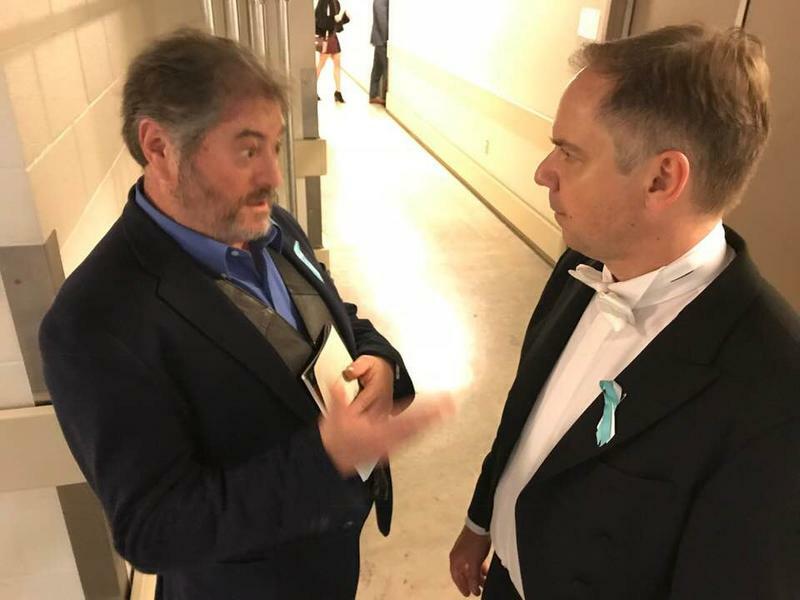 After a nearly five and a half hour meeting Wednesday evening between San Antonio Symphony management and the musicians' union, the Symphony Society of San Antonio will suspend the rest of the season after midnight Sunday.